Millimeter marked for quick and easy method for depth measurements. All points are laser inspected to ensure the tightest tolerances surpassing ISO standards. Calcium Hydroxide for temporary root canal treatment. - Quick and easy method for depth measurements. 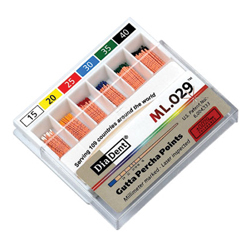 - Points with mm marking at 16mm, 18mm, 19mm, 20mm, 22mm and 24mm. 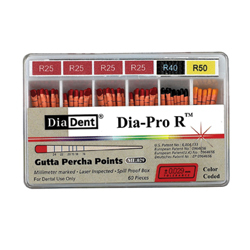 - Eliminates apex perforations which may lead to bleeding. - Reaches the apex, completely seal the entire length of the canal. - Save chair time with premeasured points. 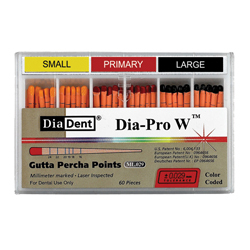 - Most accurate depth measurements. 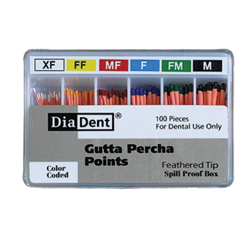 - Millimeter marked Special Taper Gutta Percha Points. - Designed to be used to complement for PROFILE, HERO & K3 FILES. - Available in .04 & .06 taper. - Designed to be used to complement RECIPROC FILES. - Designed to be used to complement WAVE ONE FILES. 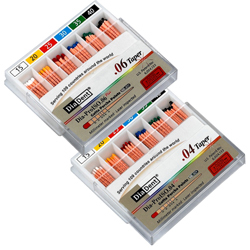 - Designed to be used to complement PROTAPER FILES. - Designed to be used to complement ProTaper Next Files. 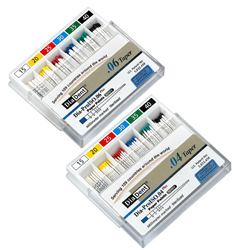 - Designed to be used to complement WaveOne Gold Files. 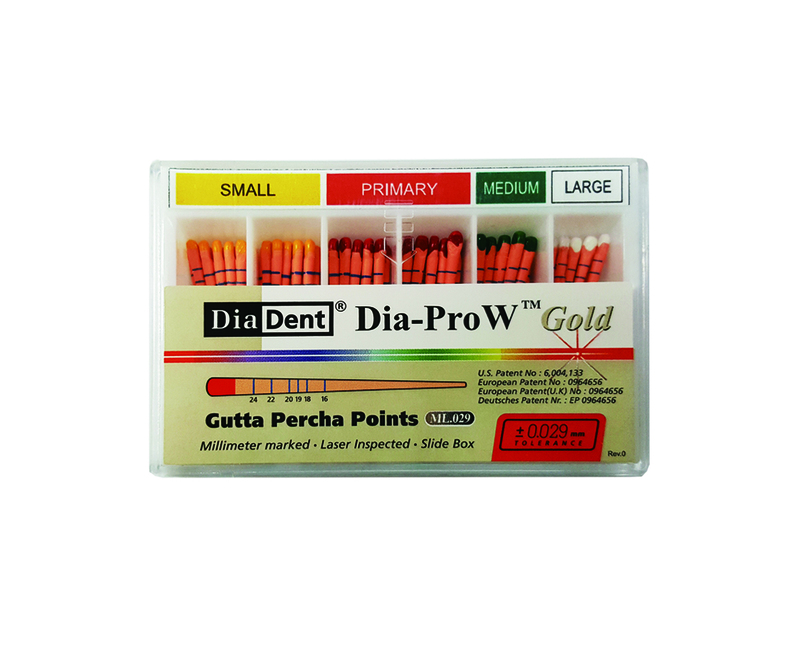 before proceeding clinically with the application of the Gutta Percha Points. 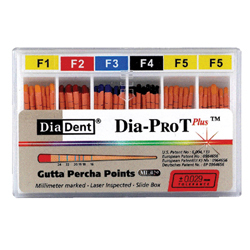 - These points are highly absorbent and color coded to identify ISO tip sizes. 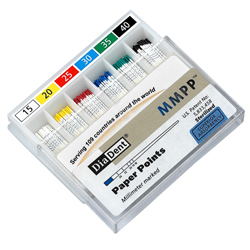 - Millimeter marked Special Taper Absorbency Paper Points. with PROFILE, HERO & K3 FILES.